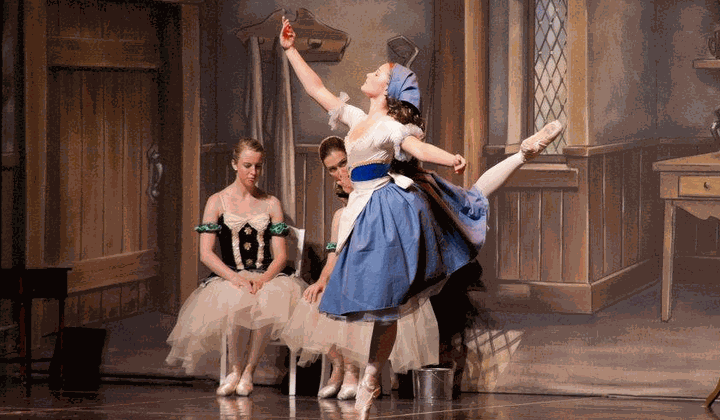 Academy of Ballet and Theatre Arts is the state-of-the-art dance school for you. Classes are available for students age 4 thru 18 with an emphasis on pre-professional training in ballet, jazz and character. Most students spend at least two years in each Division, until they reach Division 4. Upon promotion to Division 4, most students spend three or more years in the upper Divisions. The placement of each student and qualification for pointe work are entirely the decision of the Director of Academy of Ballet and Theatre Arts, Lisa Webb. 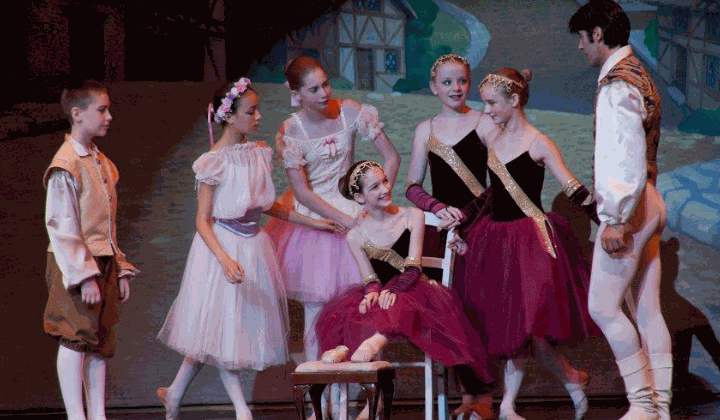 Under the direction of Lisa Webb, Academy of Ballet offers the finest instruction in Classical Russian Ballet Technique based on the Vaganova System. Character and Jazz are also an important part of the training at the Academy. Lisa is dedicated to providing excellent training in a demanding, yet nurturing and fun, environment. With over 25 years of teaching experience, Lisa's students have been accepted into ballet programs throughout the United States and Canada. 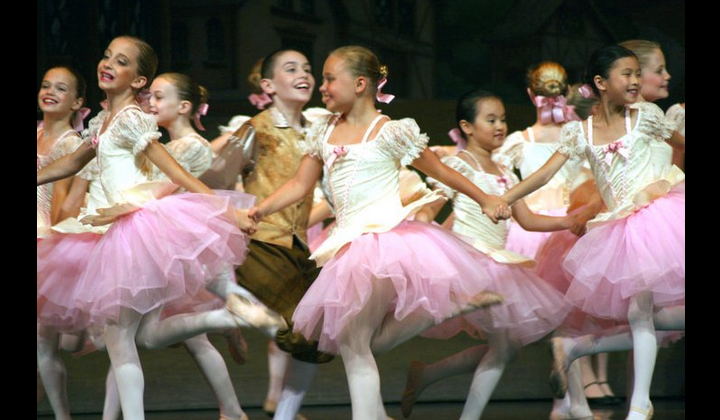 These schools include Ellison Ballet, Boston Ballet, American Ballet Theatre, Kirov Academy, San Francisco Ballet, Royal Winnipeg Ballet, Tulsa Ballet, Kansas City Ballet, School of American Ballet, National Ballet of Canada, Pacific Northwest Ballet and The Rock School. Pre-Ballet for ages 4-6 is imaginative and fun. These young students receive playful introduction to classical ballet while learning excellent beginning technique. Pre-Ballet students attend one 60-minute class per week. is a beginning level of study. Students learn basic elements of classical ballet technique with great emphasis upon posture, placement, turnout and epaulement (use of head and shoulders). The Division 1 student begins to master the basic barre and centre exercises. Particular attention is given to the strengthening of the back, feet, knees and ankles in all Divisions. Stretching is an important part of each class. Division 1 students attend one 60-minute class per week. students build upon their previous training. The barre and centre exercises are increased in number and level of difficulty. Centre exercises are expanded to include more petite allegro and students begin to turn. Great emphasis is placed on posture, placement, turnout, epaulement (use of head and shoulders) and port de bras (arms). Division 2 students attend two 60-minute classes per week. is an intermediate level of training. Students continue to build upon their previous training and begin to execute the many exercises en releve. The barre and centre exercises increase in number, length and degree of difficulty. Students begin pirouettes in Division 3 and more complex patterns of movement are mastered. Jazz is added to the training in Division 3 to increase flexibility and enhance coordination. Division 3 students attend two 60-minute ballet technique classes and one 60-minute jazz class per week. is an intermediate level of training. Students begin pointe work in Division 4 and continue to build upon their previous training. The barre and centre exercises increase in number, length and degree of difficulty. The degree of the extension of the legs is greatly increased as students proceed through their years in Division 4. Character is added to the training in Division 4 as well as a once monthly Variations class. Division 4 students attend two 90-minute technique classes and two 60-minute pointe classes. In addition, they attend two 60-minute jazz classes per month and two 60-minute character classes per month. is an advanced level of training. Students continue to build upon their previous training. All pointe exercises are done at the barre and in the centre. Multiple revolutions in all pirouettes are mastered, the degree of the extensions is increased and students master great control and precision in all the exercises. Division 5 students attend two 90-minute technique classes, two 90-minute pointe classes per week. In addition, they attend two 60-minute character classes per month and two 60-minute variations classes per month. One 60-minute jazz class is also available each week for Division 5 students, but is not required. is the most advanced level of training in the Academy. Students continue to build upon their previous training. Virtuoso exercises such as fouette rond de jambe entournant, Italian fouette (en dehors and en dedans), multiple pirouettes ala seconde and multiple pirouettes en arabesque are mastered. Great emphasis is placed upon perfecting the coordination of legs, the port de bras and the epaulement in all movements. Also, precise use of the feet in the pointe work is mastered. Many students who reach Division 6 have achieved a Pre-Professional level of strength and beauty in their dancing. Division 6 students attend two 90-minute technique classes, two 90-minute pointe classes and one 60-minute jazz class per week. In addition, they attend two 60-minute character classes and two 60-minute variations classes per month. Check out more dance studios in Edmonton on our business listing page.